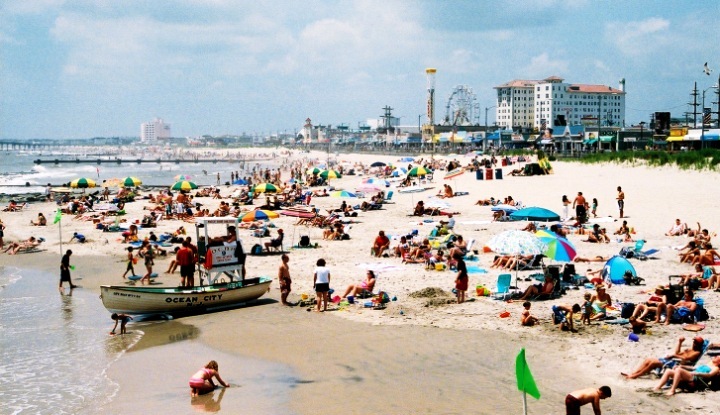 Atlantic City, Avalon, Belmar, Cape May, Long Beach Island, Manasquan, North Wildwood, Ocean City, Ocean Grove, Point Pleasant Beach, Seaside Heights, Seaside Park, Sea Isle City, Somers Point, Spring Lake, Stone Harbor, Wildwood, Wildwood Crest. The most comprehensive catalog of the Jersey Shore on the Internet. Welcome to the Jersey Shore! Soon another summer will be here! The warm breezes will have us all aching to find our spot in the sand. The sights, smells and sounds of the boardwalk are luring us to the greatest resort of all.....The Jersey Shore. We'll be adding new pages regularly, bringing you more useful information. We hope you check them out , bookmark this site, and return regularly to visit. Translate this website to French automatically (Française version) . You can almost taste the hot dogs and french fries they sell. Copyright 1996-2014 Lewis Publishing Co. The Boardwalk Catalog and Lewis Publishing does not represent or endorse the accuracy or reliability of any of the information, content or advertisements from any of the services contained on this website. By accessing this site,You hereby acknowledge that any reliance upon any materials shall be at your sole risk.